Sometimes when you want to convey something that is very important to you, you just don’t know where to begin. You start and the words tumble out like toys in an overstuffed box that has been emptied, and you sort out the pieces and take what you were looking for. That’s exactly how I feel right now. My first book (yes, I am going to be a published author!) will be out soon. It is in press right now. The book will be available at all major bookstores in India, (all the Crosswords and the Landmarks) and also on the Internet on Rediff and most likely Amazon as well, by 25th of this month. The book is based entirely on my blog posts. There are many posts which have been adapted, and many new ones as well. It has been a long journey of two years. I started the blog to overcome my absolute shock, deep grief and my broken heart, when I lost the person who meant the world to me. (Click here to read all about it.) I never thought that my writings would touch so many people and help them too, along the way. I started the blog to help myself—It grew. Beyond what I thought, envisaged or expected. Many people wrote to me, asking me to put it all in a book, and I began working on it. “Never tell anyone that you're writing a book, going on a diet, exercising, taking a course, or quitting smoking. They'll encourage you to death.” Said Lynn Johnston. I agree with the quote. Many months back, when I mentioned that I am writing a book to a few close friends one said "Look--as a blog what you have written is okay—not as a book." Imagine pouring a bucket of ice-cold water on a person who is fast asleep. That is exactly how I felt .To say tha t I felt discouraged is putting it mildly. Very mildly. But fortunately for me, hope came in the form of two other good friends, (to be specific Ajay Chauhan (That's his pic on the left) and Niall Young) and Satish Shenoy, my husband. They really believed in me and my writing. I held on to their words like a drowning person holds on to the last bit of wood floating. And I desperately wanted them to be right. It was only after I signed the contract that I told my other friends. Most were thrilled. And some were—well, forget it. It’s not worth writing about. Ajay did a LOT for me. I feel extremely fortunate to have him as a friend. He dug out information, he spoke to people who had been-there-done-that, made notes, called me a countless times in between his hectic and stressful work schedule, put me in touch with Amit Gauba, a graphic designer, and kept following up with me about the progress of the book. Amit and I worked together for the book cover; We sat up night after night, discussing concepts, looking at options and deciding what has to be there. (Whew—I never knew it could be so difficult.) He brilliantly executed what I had in mind. (And we came up with 26 different covers, before finally choosing this one.) I admired his patience and his efforts). Cherrisa, another of my closest friends gave me a lot of moral support and kind words. She was, I think, even more thrilled than I was, when I first told her the news. Satish was so very supportive. He held the fort down (making dinner after he came back from work, reading to the kids, ironing their uniform, doing studies with them, sorting out their fights) while I huddled over my computer, writing, re-writing, editing, re-thinking, contacting people and doing a million other things that go into making of a book. I feel blessed to have him as my husband. K.S. Narayanan (To us, he is just KS) who is a good friend to Satish as well as me, helped in reading, refining and also giving a ‘third person’s view’, as did Ajay and Cher risa. Rohit Srivastwa,(thats his pic on the right) another good friend, sat up for three consecutive nights along with me, till 1:30 a.m and put together my website. Apart from his regular job and his Clubhack activities, he is now also the Technical Director of CYG (Common wealth Youth Games) and is one really busy guy. The only time he could spare was after 9:00 p.m, when he finished his official work. He has so much of patience and explained to me many technical things. (I have no idea about web designing or registering domain names, hosting it or anything else) He also gave me useful links that helped to execute a few things I had in mind. So finally it was done (With friends like these I couldn’t fail!) and —Here It is!!! When you log on to the site, on the right side, you will see an option asking you to ‘Join the Circle’. Please do click on it, and it will take you to the ‘Bubblegums and Candies Circle.’ Signing up is just a 10 second process. Do put a picture in your profile as well. There are widgets and badges to grab, which you can put in the side bars of your blogs. (if you feel like helping me promote the book) There are other interesting like minded folks to meet, forums to have discussions on and also events that will be happening in your city. The formal launch in Pune is on October 4th, Saturday, at Crossword, ICC trade towers. The author book-read meet at Bangalore is on October 10th, Friday at Crossword, Residency road. If you happen to be in either of these cities, do come—I would love to meet you. Do confirm attendance if you are coming. (At the Bubblegums and Candies circle page) Seats may be limited as the events are being held at the book store. Ironically my dad isn’t here to share my joy. September 7th is his second death anniversary. (It still hurts deeply to even say it) I am going to Kerala to be with my mom. She needs me. I may not be able to visit your blogs or reply to your comments for a while. In the acknowledgements section of the book, I have thanked my blog-readers and my online friends who cared enough to leave comments and read what I wrote, and connected with me. Your words meant a lot to me. So much that I have written a book. WOW. I feel proud to have been in touch with you even on this space. Congratulations and all the best for more books. I will visit you website soon. Xh: thank you so much Anoop! !I really look forward to meeting you. great news!! congrats. All the best for everything. Congratulations!!!!! I am so proud of you. Can't wait to get your book. wow! congradulations! u r truely a role model! u shud be having a fan club! all the best! HEARTIEST CONGRATULATIONS!!! Am thrilled that you are coming out with your first book. Wish you all the very best for it. I do hope you will be visiting Mumbai for the book launch. Am looking forward to reading the book. Woooooooooowiweeeeeeee ! Congrats PS! wat an accomplishment.. I'm sure every1 who knows u is beaming with pride!Well...I...am beaming with pride..n am gonna be showing off saying I know an author..personally..well, quite personally ;) !after all u hv commented on my blog! !The name is pavi..pls don't forget me! u know ps...it is one thing to be a super-woman once in a while(some women have those once-in-a-while glorious moments) but u keep proving urself time n agn! Touchwood gurl! u rock! n may god bring u the best! Any idea on how ppl in the US get access to the book? I am traveling for work and will be reaching pune only on 7th evening. Best of luck for your book. HEARTIEST CONGRATULATIONS!!! It's a great feeling that someone i've known(not for long though) is going to be an author whose books are gonna be read by a wide audience! Kudos to the publishers who found the writer in you awaiting for a medium! Count on me to get that book! I’ve said this before,but I’m saying it again. Beyond your happiness, PS, I can imagine how thrilled Satish must be to see you doing those book launches and reading sessions .. how excited Atul and Purvi must be telling their friends that their mom has now authored a BOOK :) .. your friends and colleagues (not to miss out bloggers like me who so blissfully wade thru the different posts in your blog) is gonna be thrilled to have a copy of your book in hand .. your mom who once trained you how to read and write is now about to read YOUR words in print in a BOOK authored by YOU. And above all, your dad who has guided and inspired you to grow into what you are today is going to be so proud of you. Finally, you broke the news. Heartfelt congratulations. Its great to have someone to look up to. btw, what is the significance of 34? This is wonderful news. Though I am new to your blog (through Desi Pundit), I am so happy for you. It encourages all bloggers also in knowing that blogging is important and can lead to great things! Thanks for inspiring us all! Can't wait to read your book. Hope I can get it in USA!! No seriously, I am eagerly awaiting the release of the book...Hope I am in Bangalore at that time..
Harish: Yes--you are helping.A LOT :)Thanks for joining. Jennifer:Thank you!! i hope so too. Huzefa:Coz--life begins at 34 ;-)Well--there are 18 candies and 16 bubblegums from my life, as explained in the preface. Balu: Was very moved reading what u wrote.I m in kerala from 4th to 8th, BTW.Will try and call you. Pavi:I think you can get it through Amazon.Will check with my publishers.And hey--Thanks!! Palsworld:Thanks! !And thanks for signing up too. Pinkdogwood:Thanks so much! If you like my blog, you will surely like my book. I like the cover and I'm sure the content is of the quality we're used to here. This is such an accomplishment! Awesome! Hearty hearty congratulations once again. Wish you all success. Sach me m so jealous...but so proud too!! Congratulations !! You are truly a talented and gifted artist. I am so glad that you were able to get this done despite the ice water bucket throwers :-) i guess you will always find people ready to dampen your spirits, moods and talents. You overcame all of that, and with the help of good friends made this possible. kudos to you !!! i coudln't be happier. I will look for your book and spread the word. Wow... Congrats! You know Preeti, however much i despise the books written by Chetan Bhagat for their sub-standard quality, i do thank him in the larger scheme of things. The wild success he received literally opened the eyes of dozens in the indian publishing business who, like an old boy's network, were uncreatively programmed to promote stereotypical works and authors benchmarked by the Bookers and Pulitzers. This phenomemon has certainly helped the Indian reading enthusiasts like myself who love to experiment with new authors but seek quality. Congratulations...So happy for you. I'll definitely be there in Bangalore and I have already confirmed it in the Inner Circle. I also managed to read all the posts that you had linked to this post. Have a mixed feeling now. Your dad will be proud of you and will bless you wherever he is. All the Best!!! I have been on the process of gettin my works up and dis seems to be great..I am definitely gettin ur book friend..
All the best for the launch..Wishing u life's best on this wonderful occassion..
Wow! This post made me a little sentimental! Good luck with the book! Looking forward to reading it! 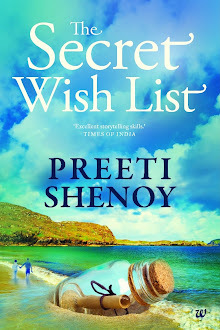 Preethi, really, really happy for u.
U deserve the best.....[Nancy raises her glass to touch imaginary preethi's imaginery glass] "Here's to the book being a runaway best-seller:-D"
But guess what.... I have asked my friend to be there and pick up a copy at the time when u r there for launch in Pune Crosswords... tomorrow.. If you are reading this I am expecting an autographed copy for my collection!!! Thank you for the mention i am honoured that you consider me to have encouraged you in such a valuable way...It's a really exciting time for you and believe me, i feel it too..I just wish I could be there for the launch. I have always thought your writing had a 'special something' which lifts the reader and has the 'feel good' factor whilst at the same time challenging and exorting one to dismantle preconceptions and smallmindedness. So ...I wish you every sucess with the launch and promotion!!! Your blog is so well written that am sure the book which is an extension of your posts is going to be a big hit! good luck! congratulation and all the very best. Meira:yeah--I need a net! :-)Thanks! Pratima:looking forward to seeing you there.And thanks! Niall:How I wish you could be here! Reflections:Let it keep running and not runaway! :P *Toasts* Thanks! Wannbewriter: thanks so much.yes--even i am a bit emotional at the moment--the joy is tinged with a bit of sadness.Irony at its best. Multimenon:There will be launches in mumbai and chennai as well.dates not yet known. Veena: Yes--its an author read meet at Bangalore--am there only for a day.If I can i'll make it to the bloggers meet if u intend keeping one. Varun:Thank you so much..Yeah i guess dad would have been proud. 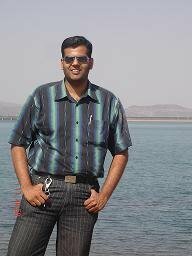 Pranay: thanks so much.Of course I wont forget my blog readers!! My blog is still important to me.! Prakhar:yes see you--but why jealous!! Someday I'd proudly tell my relatives n all..
"Who? the famous author PS?Oh yaa..she is in my friends list"..
For the time being just a heartfelt CONGRATS..!! you must be feeling like you are on cloud nine! and you deserve too! This is such a great achievement and (whoever said you couldnt do it, obviously didnt know you)! This is one of those times I wish I lived in India, so I could attend your launch! But nevertheless, GOOD LUCK, have a blast with it. I guess I will be having my chance to buy the book after the 25th! P.S - I loved the quote by Lynn Johnston..! Shruti:Thank you so much!! 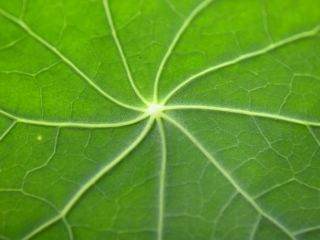 :-)It would be great to meet you--am sure out paths will cross. Geets: you can tell them now itself :-)LOL! ;-)Jokes apart--thanks so much. I cant wait to read the book! Hope 2 c ya at crossword on 4th! M sooooooooooooooooo happy for u! i really enjoy reading anything you wrote, indeed substantial. writing a book is having a wider horizon and more hearts to be touched. another great piece of yours. Congratulations.. I already signed up on the website.. this is a wonderful accomplishment! I cant wait to read the book! Wishing you good luck for this one and many more to follow! Congratulations!!! A great accomplishment!! Wishing u to achieve more and more!!! Eagerly waiting to read the book!!! Karthik: There will be a launch at Chennai--would love to meet you if you can make it.And thanks! Iriz:Much appreciate your kind words.Thanks a lot. can u pls do me a favour...pls..Can u release the book earlier...If possible...tomorrow would be gr8..jus kidding..
once i finish writing a story that i am writing...just an attempt..
And one more thing..if u r free then pls drop by.. Your comments are always welcome..
Good luck for your book...Never have i waited for a book with sooo much expectation and eagerness..
That is a wonderful news. It will be really great to meet u. Just tell me when and I will be there. I have been a Lurker here for some time now. While it was primarily because your comment form doesn't have the name/url option , it was also due to some of the reasons for Lurking that you mentioned in your post about Lurkers. I love the way you write and can't wait to get my hands on your book. And I really loved this post coz it gives us a window into the birth of a book, which doesn't really come around often. I dream of writing a book somewhere down the line, and this post fuels and encourages my dream. I'm very much happy for you and I wish and believe that your book will walk off the shelves. Heartiest Congratulations on your book! Wow Preeti, Congratulations. You have achieved what every blogger's dream would be. And with the kind of perseverance and passion you displayed, definitely you deserved this goal best. Putting your achievement as a goal is not in anyway meant to see this as an end to an endeavour, its only a beginning to many more achievements to come. We need people like you Preeti, keep it up. CONGRATS again. I was waiting for you to announce it here...so I could start showing off to my friends :D.
will book my place right away...but I'd like to buy the book. I know winning it is fun, but buying a book and that too by an author you know...no way am I going to take away that small bit of excitement. Congrats and All the Best!!!! all the best and rock on!! Congrats! Interested to read to book! Will try my best to meet you in Bangalore. very proud of you! all the best with the book launch and the website too looks great! awesome stuff! Wish you All success in the launch of your Book.,.I truly hope that book touches the life's of other people and gives them a reason to smile about. congratulations! I happen to be an avid reader of all your blogs...a silent reader most of the time...though occassionally I have left comments too! this is a huge accomplishment...best of luck! COngratulations!! This is fantastic news!! I just stopped by from Sparks blog to say congratulations.I will surely stop by your book sie and join the circle. Congrats on this great achievement. I signed up and am waiting for the book to be released. OMG! I am so happy for you!! I know someone who is going to be famous. Woo hooo!! signing up with the site next. I will try and be there at the launch. Lets see if you remember me!! Keith:Thank you so much--appreciate your very positive and kind words. K10:Of course I remember you! Tys: It would be my pleasure! How do we know: Thank you!! Prahshant:If it does I'll be happy.Thank you. Manasa:Yes--if U mke it it will be nice to meet.Thank U.
Marja;yes--am already working on it! Mama-Mia: 6:00 pm--if u come it will be really nice to meet. Prats: thank you so very much..Yours is one of the names I mentioned in the acknowledgement--after all the kind messages U have sent and the toughtful things U've said, it was the least I could do. Hari:Thank you so much.In fact i am working on my second book. Pooja:Woul love to meet you there. NM:Well nothing on agenda as of now--but lets see! 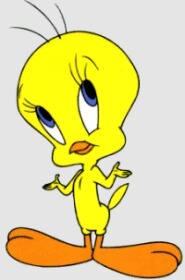 Raouf:Tried oing to your site--but it was a dead link. Do resend. I disabled name option as I dont moderate comments anymore--and there are many nasty trolls.Thanks for joining the circle--and glad U like what i write. Uma:I think publishers want to run the contest only when the book is out--only then it makes sense right? All the best! Shantaram; Do call me Preeti :) Thanks a lot. Would love to read whatver u write about the book--and I do hope it meets your expectations. Waiting to grab a copy of ur book! Suma: Did the honours!Thank you!! Actually i saw the banner at XH's blog and forgot abt it..and then it popped on Prats blog too :) and from there I came to your blog! I am so glad, even if this is my first time here, that your one dream has come true! I feel so happy for you! congrats.i am sure the book will be a best seller. we shall look forward to seeing you in bangalore. Congrats PS!!! That is absolutely exciting. Will order one or get one from India. Congratulations Preeti. I have spoken to you a couple of times and followed your blog diligently. And I am not ashamed to say that I have been very very impressed by you. To write a book now only seems to be next logical step. :D I also read the post that you had written for your husband's birthday. Belated returns. Your love for each other is obvious. I can only wish it for to grow and nurture! Vidya:Thanks a lot.and yeah--touch wood! 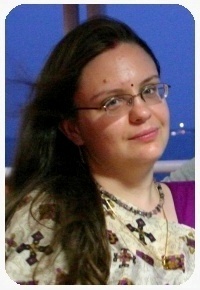 Gazal: Thanks :)It will be great to meet you. Prats:I dont know how I missed it--have made amends now. Veens:Thanks so much! :) The book will be a lot like my blog--so people who like my blog will surely like the book. It will be nice to meet you. Wow! Wow! Wow! and Wow! 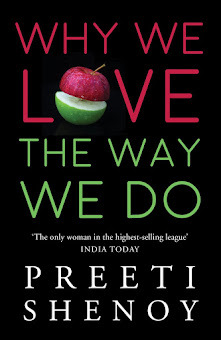 Congrats on the book Preeti and rest assured I'm gonna buy the book as soon as I see it on the shelf. And please, try and do a launch in Dubai too if possible :) I'll love to meet you in person. I'm so happy for ya! Is there any chance of a book launch in Trivandrum? Inolongeram :heh heh-thought U already did! Ps, I actually took the book cover and posted it on my latest post! Hope it is not an issue! Please lemme know, if this would be a problem in any way!? Rahima: i really appreciate your kind words.thank you so much. we live vicariously thru people like you. Our greatest moments of despair are instrumental in bringing out the best in us. Even though family can't be substituted with anyone else, I would want you to know that someone out there, whom you don't even know, cares about you and wishes you all the best in each of your endeavours. Stillness speaks: Wow--thanks!--what a nice thought U conveyed-may i know your name?